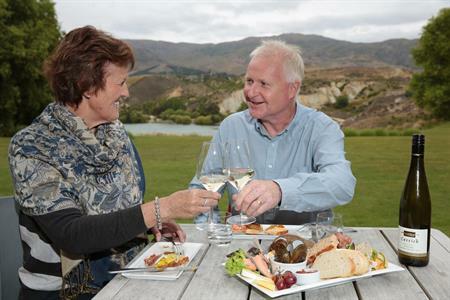 Heralded as an angler’s paradise, Central Otago offers the fishing enthusiast world-class opportunities to indulge in the quiet pleasures offered by their favourite past-time. The region provides a fantastic variety of fishing opportunities in a place where vast mountain vistas are usually the backdrop. Central Otago’s rivers boast excellent fishing in places where safe, easy access is readily available for the family outing. There are also plenty of spots for the more adventurous who like to get off the beaten track in search of the more discreet fishing location. Explore the region’s waterways yourself or take advantage of the knowledge of a local fishing guide to lure you to the best locations. Fish the Clutha River, a system that provides a wonderful array of fishing experiences. 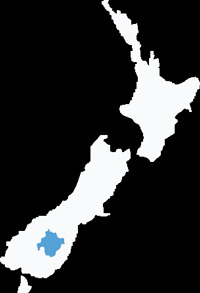 On Lake Dunstan – the lake formed by the damming of the Clutha in 1993 - try out any number of fishing techniques - trolling, spinning, harling or fly-fishing – in the hope of catching the big one. Surrounded by a rugged, windswept landscape, or sitting amidst vast rock tors are small lakes formed for irrigation such as Lake Onslow and Poolburn. These are unique regional fishing spots and firm favourites with local anglers. In late January and early February the cicada hatch takes place, a happening not to be missed. If you wish to access a water way across private property please ask permission first and remember to carry your fishing licence at all times and check your regulation guide before wetting a line. For more information contact: Fish and Game Otago or the Clutha Fisheries Trust. Poolburn Dam is a popular recreational area for anglers, boaties, picnickers and others who just want to enjoy the solitude of the water and unusual rock tors in Central Otago. A brown trout fishery, the reservoir is situated on the Ida Valley side of the Rough Ridge Range. Lake Dunstan provides the angler multiple options; easy access to most of its shoreline; rest areas complete with barbeques and picnic areas, and many boat ramps. Try fishing from a drifting boat amongst the weed beds, floating a bait, presenting a fly or casting a lure and you can be guaranteed good fun. The Upper Manorburn Dam is set in the hills at the south end of the Ida Valley. This irrigation storage reservoir has room for lots of anglers. It has developed into an exclusively rainbow trout fishery, opening on 1 November each year and closing on 31 May. 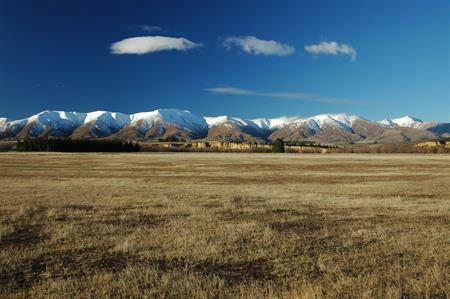 On the Maniototo plains there are several irrigation dams that have turned into excellent fisheries. West Eweburn, Coalpit, Hoffmans, Blakely’s, Rutherford’s and Mathias’s dams and McAtamney’s Ponds and the Taieri River provide anglers with a choice of fishing locations and methods.